Is the Medical Supply Chain a Risk to National Security? Previous OM in the News posts have looked at the IV bag shortage in the medical supply chain, and many other shortages of medications and supplies. The causes of the shortages are many, including quality issues at production facilities, and Hurricane Maria’s damage to production facilities on Puerto Rico. Shortages in this particular supply chain can have deadly consequences, and the risks need to be addressed. Over the years, the supply chain for medical products and medicines has become very lean, and many items are manufactured off-shore. The last penicillin production in the US was in 2004. 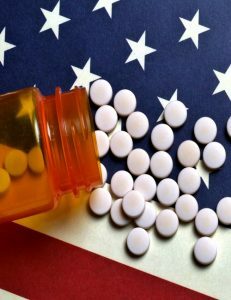 Only 10% of the generic drugs used in the U.S. are made onshore, and eighty percent of the active ingredients in medications are produced overseas, mainly India and China. Considering the length of the supply chain, combined with ongoing shortages, does a lean medical supply chain present a threat to national security? This post is based on the Wired article, Medicine’s Long, Thin Supply Chain, by Maryn McKenna, March 5, 2018. Image source: Douglas Sacha/Getty Images. Amazon’s acquisition of Whole Foods has led to a few changes in how inventory is managed, and the results are empty shelves, unhappy customers, and – according to some employees – lagging morale. Whole Foods has implemented Amazon’s inventory system, called Order To Shelf (OTS). 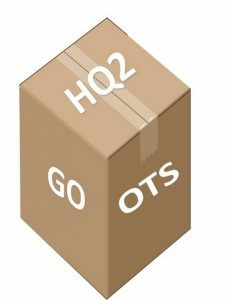 When implemented correctly, OTS can reduce the number of stockouts and amount of inventory carried. However, the conversion has not been trouble free. Part of the problem may lie in Whole Foods’ use of small, local suppliers that are not used to the OTS system. It also highlights a difference in company cultures, as Amazon’s more centralized way of managing inventory clashes with the local autonomy previously given at the store level to manage out-of-stock situations. 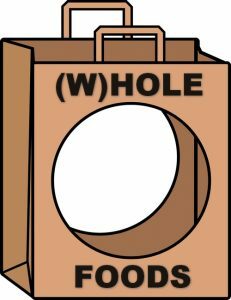 This post is based on The Register Citizen article, Internal Documents Reveal That Whole Foods Is Leaving Some Shelves Empty On Purpose, by Hayley Peterson, January 20, 2018. 1. Why use Order to Shelf (OTS)?